You all owe Gary Gygax more than you can possibly imagine. The creator of Dungeons & Dragons, who passed away in 2008, had a big impact on tabletop gaming, of course, but those concepts he created for paper and dice are still widely used in video games today, especially RPGs. So this commemorative offering from Wizards of he Coast is nice. 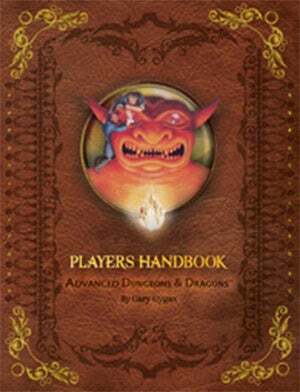 It's a reprint of the very first edition of Advanced Dungeons & Dragons' rulebooks. The content inside is exactly as it was; the only change is a fancy new cover. Some of the proceeds from sales will also go towards a project to get a statue of Gygax erected in Lake Geneva, WI.